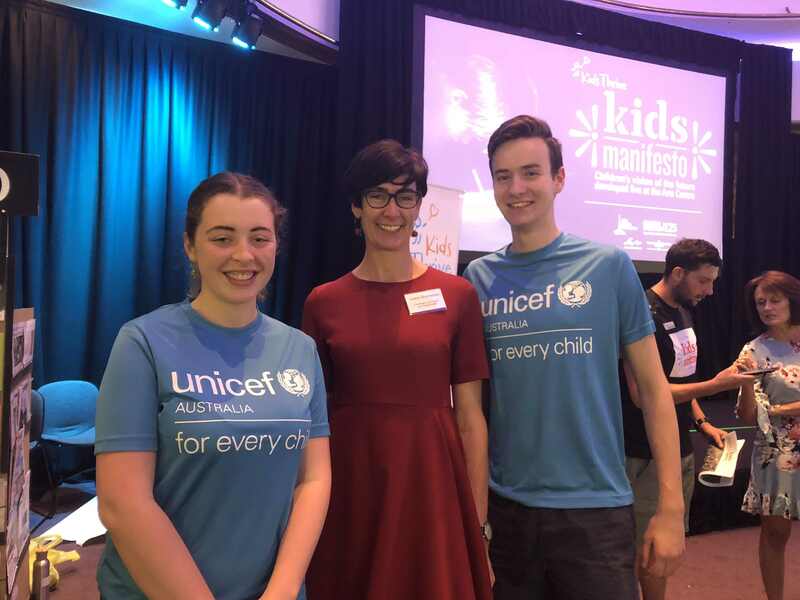 By Jo Rosochodski / 16 Apr 2019 / Comments Off on What’s it like being a UNICEF Australia Young Ambassador? 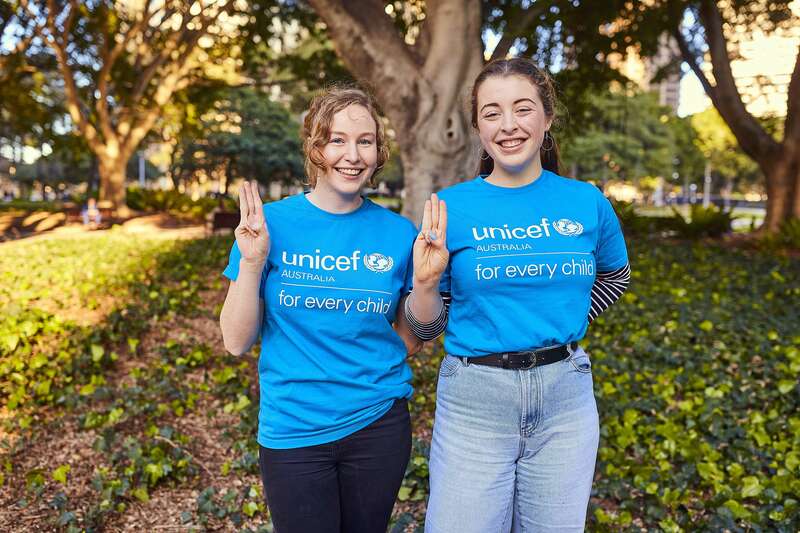 UNICEF Australia Young Ambassadors speak up for children, and help the world to listen to them. Just ask 17-year-old Eva. She’s spent the past year honing her speaking and listening skills in her role as a UNICEF Australia Young Ambassador. The Young Ambassadors are a small group of young people aged 15-24 from all over Australia, with diverse backgrounds, skills and experiences. They share a commitment to the rights of children, and previous experience engaging with children and young people. 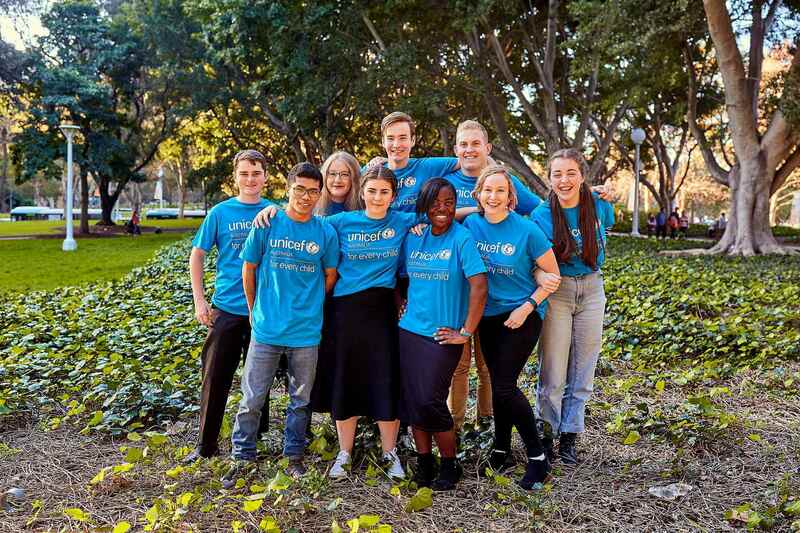 The UNICEF Australia Young Ambassadors. Eva’s experiences at Girl Guides helped to give her the confidence to apply. Eva meets with a Guide Unit. Speaking with children and communicating their rights and needs is the heart of UNICEF’s work. 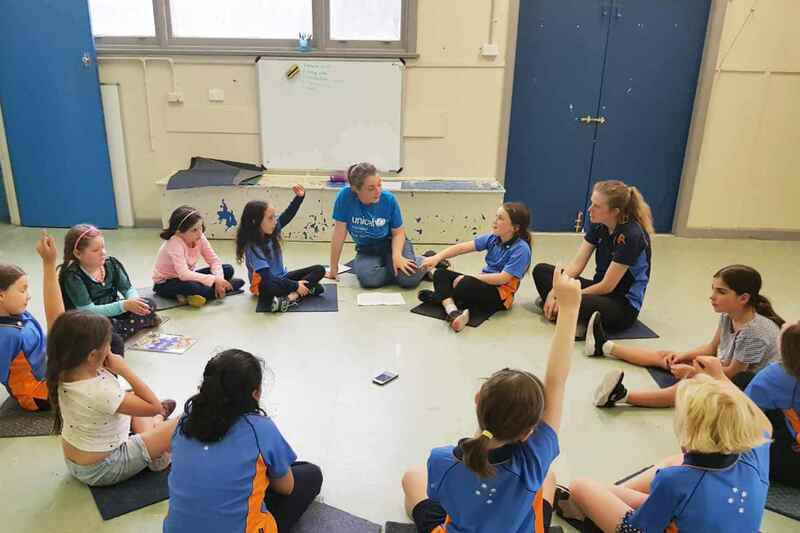 In the past year, UNICEF Australia has consulted with 1500 children and young people aged 4 to 22 about their hopes, needs, and concerns. The Young Ambassadors played an active role in this work. 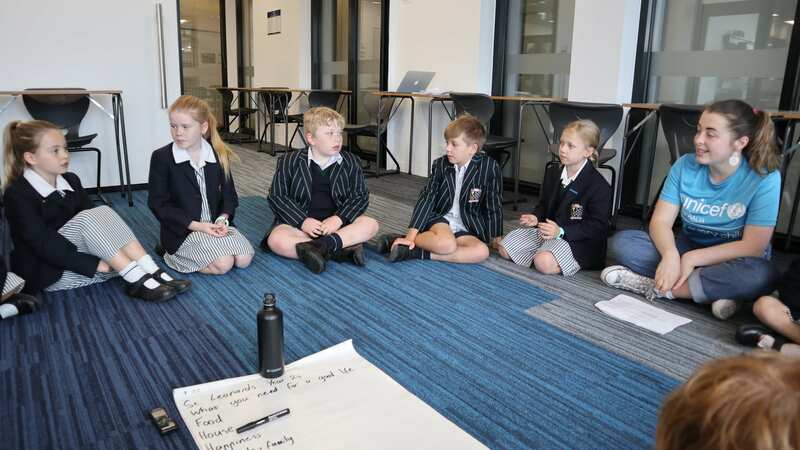 They conducted consultations with children at schools across Australia on broad topics, including the environment, equality, safety, well-being, and learning. Eva visited a Guide Unit and where she spoke to children across multiple year levels. 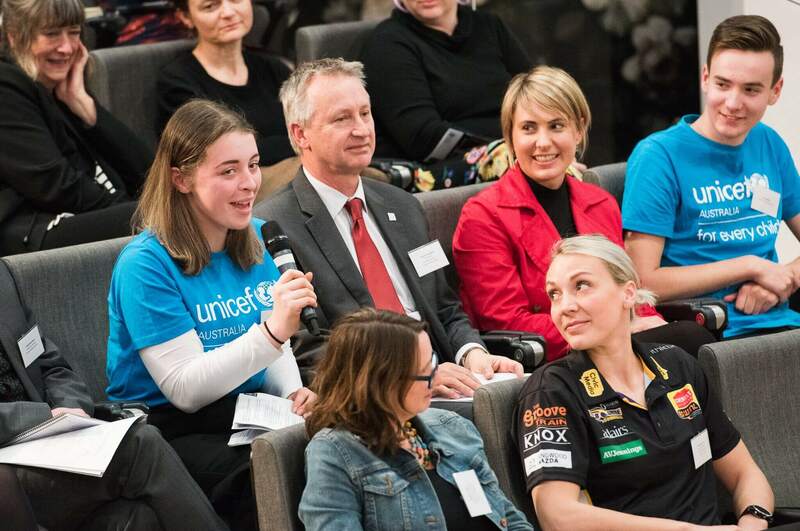 Eva talking with Victorian primary school students on behalf of UNICEF Australia. Based on what they heard from children and young people, the Young Ambassadors will be lobbying decision-makers about what is important to children and young people. They also worked together to write a report for UNICEF Australia about their findings. Being a Young Ambassador has helped Eva to gain new skills. In particular, Eva says that being exposed to lots of interview situations has helped her to become a more confident public speaker. She has met with the National Children’s Commissioner, Megan Mitchell, and the Victorian Children’s Commissioner, Liana Buchanan. She has also spoken everywhere from the University of Melbourne to the ABC children’s news program, Behind the News. Eva has some advice for anyone who might be interested in applying for one of UNICEF’s excellent youth programs. Are you a young person looking to make a difference? UNICEF Australia offers some fantastic opportunities for children and young people to be advocates for themselves. Learn more here.